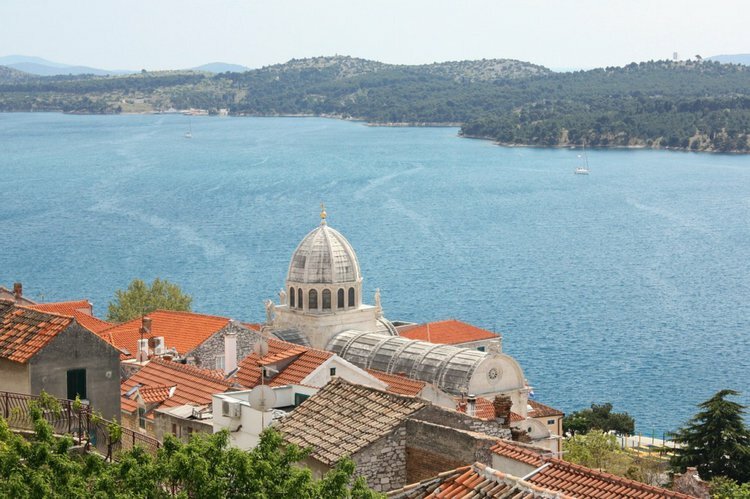 If you’re looking for a day trip from Šibenik then Primosten, Croatia is your perfect destination. Drop anchor at the Kremik marina and stroll along the narrow streets of the old town that preserve the atmosphere of a medieval Mediterranean fishing village. 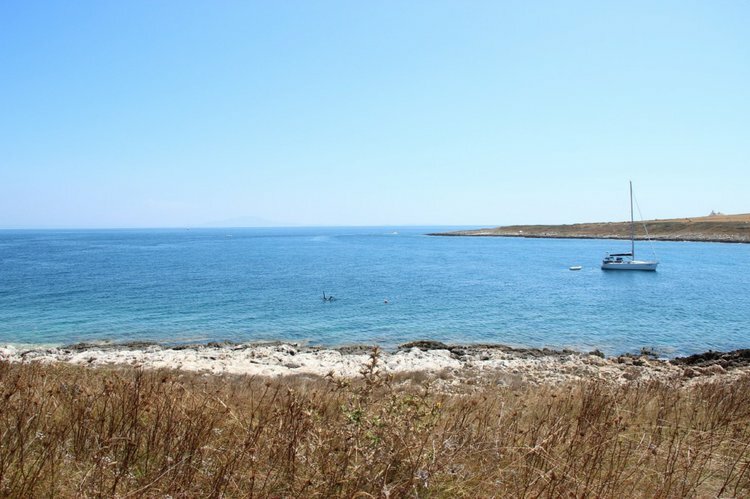 Visit the XVI century beautiful churches or have a relaxed day at the Raduca beach. In the evening, take a walk on the promenade bordered by the historical city walls, and stop for a romantic dinner at one of the lively seafood tavernas. Many of our friends start their sailing holidays in Šibenik, Croatia, but not before taking at least half a day to explore the old town. Walk to the top of St Michael's Fortress to enjoy the unique panorama of the city, and visit the outstanding 15th century Cathedral of St James built in a Renaissance-Gothic fusion style. At sunset, rent a boat and sail along the Sibenik channel for a chance to admire the imposing 32 cannon Fortress of St Nikolas and the beautiful city lights. 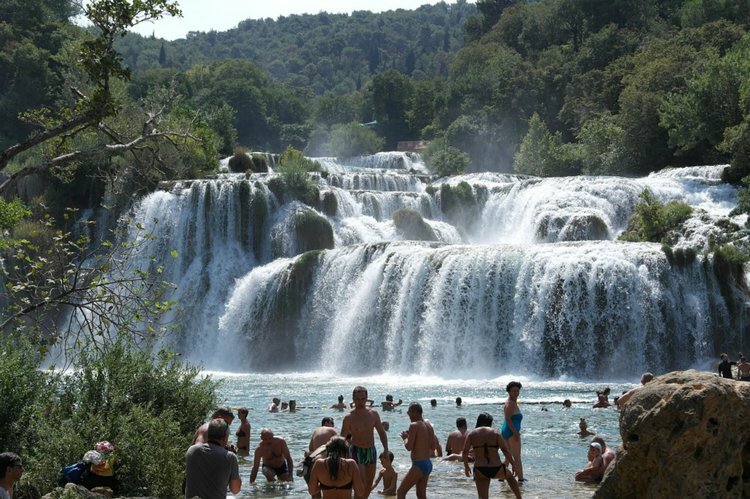 One of the most popular day trips from Sibenik is to Krka waterfalls, in the national park located on the middle-lower course of Krka river. 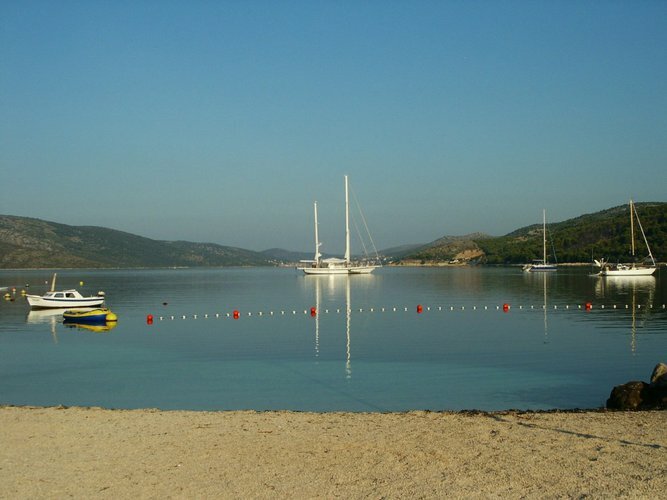 Sail along the river to Skradin town, where you can hop off your sailboat and safely drop anchor at ACI marina Skradin. Enjoy the high waterfalls and the cascades of Skradinski buk and Roški slap, go swimming or relax in the crystal clear emerald waters of the many natural pools. Any reason to set sail to one of the 249 islands in Sibenik archipelago is good enough to plan a day trip on your boat charter and enjoy the marvelous blue-green waters of the Adriatic sea. Our local team vouches that sailing to Žirje island and trying the best “octopus peka” in Croatia is one of the most incredible food experiences you’ll ever have. We don’t doubt this because fresh octopus slowly baked in a brick oven under a cast iron bell covered with hot ashes sounds delicious! Get onboard your yacht charter from Šibenik to Kaprije and Kakan islands, and explore some of the South Dalmatian archipelago’s most secluded bays where you can swim and snorkel in the deep-blue waters of your own personal and perfect lagoon. You can drop anchor in the little harbor of Kaprije and go for a walk to admire the beautiful old fisherman stone cottages or stop for a simple yet delicious lunch or dinner at one of the many family owned “konobas” (tavernas).